On CNBC's "Mad Money" Monday, Jim Cramer spoke about the future of the cannabis industry. The sector traded higher on Monday on no real news, so Cramer said he can't recommend cannabis stocks as a buy. It will be possible to buy the equities at a cheaper price, the CNBC host said, adding that he still believes that legalized marijuana is one of the greatest growth stories of the era. Cramer named five predictions for the industry in 2019 in the segment. The legalization wave sweeping North America will continue, Cramer said. Nearly every time the issue comes to a vote, legalization wins, he said. And New York Gov. Andrew Cuomo came out in favor of recreational marijuana late last year. Cramer projects a rise in cannabidiol, or CBD. In December, President Donald Trump signed a federal farm bill that legalizes the cultivation of industrial hemp; Cramer said he sees enormous opportunity in CBD due to its suitability for medical use. Patients can have all the benefits without getting stoned, he said. This year will see the emergence of a handful of major operators, Cramer said, naming Canopy Growth Corp (NYSE: CGC), Cronos Group Inc (NASDAQ: CRON), Tilray Inc (NASDAQ: TLRY) and Aurora Cannabis Inc (NYSE: ACB) as companies that are already separating from the rest of the pack. By the end of the year, major marijuana brands will be household names, the CNBC host said. If lawmakers allow it, marketing activites and celebrity endorsements are next, he said. 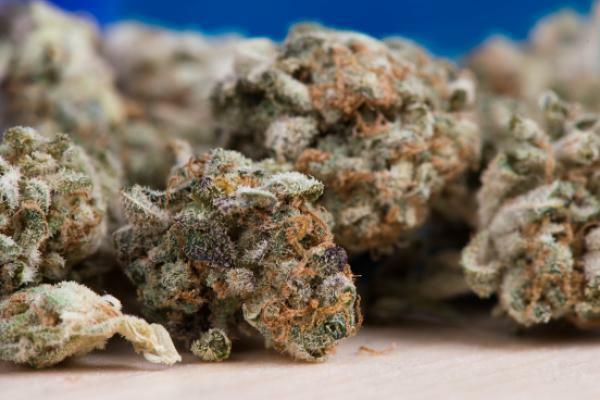 As marijuana companies move up, Wall Street will pay more attention to biotechs like GW Pharmaceuticals PLC- ADR (NASDAQ: GWPH) and Corbus Pharmaceuticals Holdings Inc (NASDAQ: CRBP), in Cramer's view. The companies are producers of artificial cannabidiol, and Cramer said they could benefit from the popularity of medical marijuana due to the dosing problems faced by the sector. When a pullback in the sector occurs, Cramer said he'll put Canopy Growth and Cronos Group on his shopping list.